Age of Discovery opens in the year 2256, just after the Battle at the Binary Stars. In the wake of a brutal war against the Klingons, Starfleet Captains must face J’Ula, matriarch of the House of Mo’Kai and sister of T’Kuvma, who seeks to alter the destiny of the Alpha Quadrant. Players will need to rely on the help of fellow Starfleet Academy Cadet Syliva Tilly (played by Discovery actress Mary Wiseman), who has come home to assist with training and see them off on their first assignment. From there, they will journey to iconic locations from Star Trek: Discovery, like the Dilithium Mines of Corvan II, explore the new experimental Crossfield class Starship, the U.S.S. Glenn, and defend Starbase 1 from a fearsome attack by the Klingon House of D’Ghor. The first installment from Age of Discovery will introduce a reimagined starting experience that allows players to create a Federation character from the Discovery era. 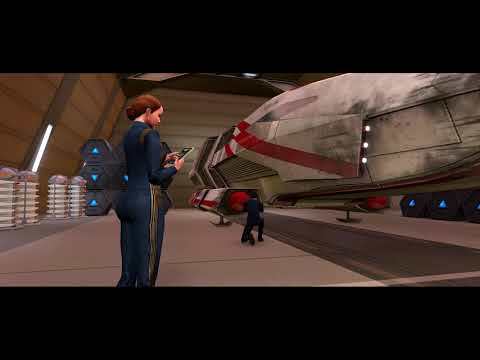 The update also includes two new episodes for Starfleet Academy cadets, a new Task Force Operation to defend Starbase 1, and new reputations that expand the game’s Reputation System to Tier 6 and unlock powerful new rewards. Star Trek Online: Age of Discovery was released on PC, PS4 and Xbox One 157d ago in the US and the UK. Notify me when Star Trek Online: Age of Discovery is available.